Thanks for a great recipe. Your blog is delicious! Author of "A Gift of Love, A Widow's Memoir"
What a great summer dish! Thank you so much! I'm going to visit your site. Corn and potatoes, 2 perfect side dishes in one! I am so grateful to the Native Americans and maize. It is something thoroughly enjoyed all over the world now! And the dish - all seasonal and local here - is scrumptious. This is a good dish year round. This post has to be my husband...he's had a lifelong love affair with corn. I never knew that early Maize was so small! Great history - as always! Corn and potatoes are a classic combination that I really love! So much history...thank you for sharing!! The dish is absolutely delicious! Thanks so much. Your comments mean a lot to me. I always have liked corn, love corn on the cob. I often cook sauteed potatoes and corn for my daughters! They love this combination as side dish or just by itself. Your version looks delicious! 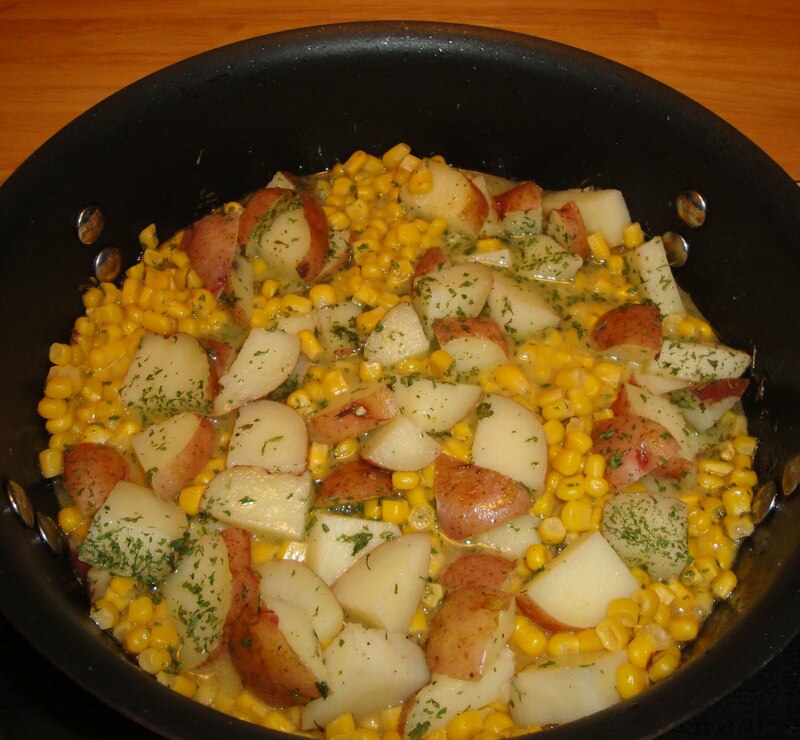 Wonderful side dish-potatoes and corn are well liked in this house. Thanks for sharing this one! Oh, what a great idea! We have such good sweet corn right now...and potatoes make our menu many times during the week! Christine, this sounds very good and I really appreciated the background information you provided. Great dish, Christine! I love the combo of potatoes and corn! I love corn and fresh off the cob is simply wonderful! Love this one! I absolutely love corn right now... in anything and everything! GREAT idea. Did you use any particular potatoes? Looks like red ones. I love me some red potatoes! Ingredients are easy I love this! Lot of facts...Thnx for sharing...Salad looks so wonderful.. The recipe sounds tasty. Thank you for giving us all that information. What a great combo! I don't think I have ever put the two together! Your posts are always so interesting to read Christine! Kids would love this! I'm a potato fan~~~ and corns would be next! :-) You do really great job on facts! The corn-potato saute looks wonderful, and I can't wait to try it. I'll let you know how it turns out. I think you will like this. I would love it if you let me know how it turns out. Thank you for being a part of Christine's Pantry. Thank you all for being a part of Christine's Pantry. Wow! What a great recap of history. Corn and potatoes are like a match made in heaven. Delish!